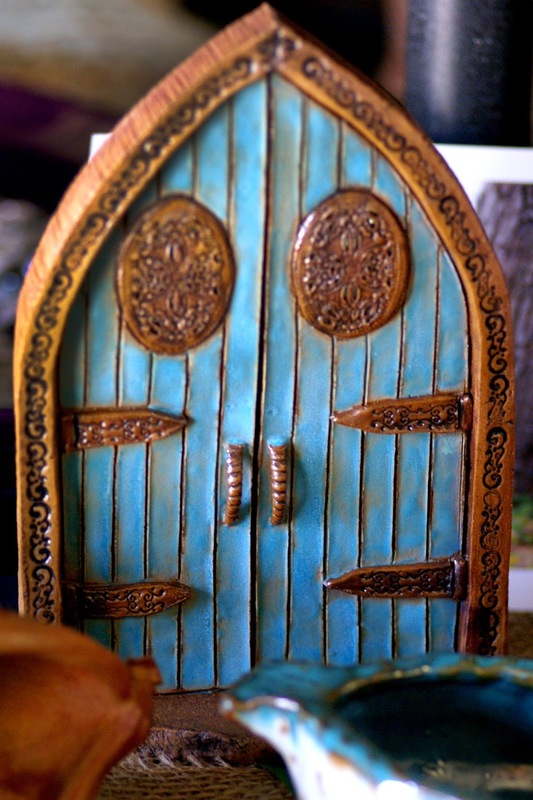 Open the Door to Your Imagination with Unique Clay Creations. 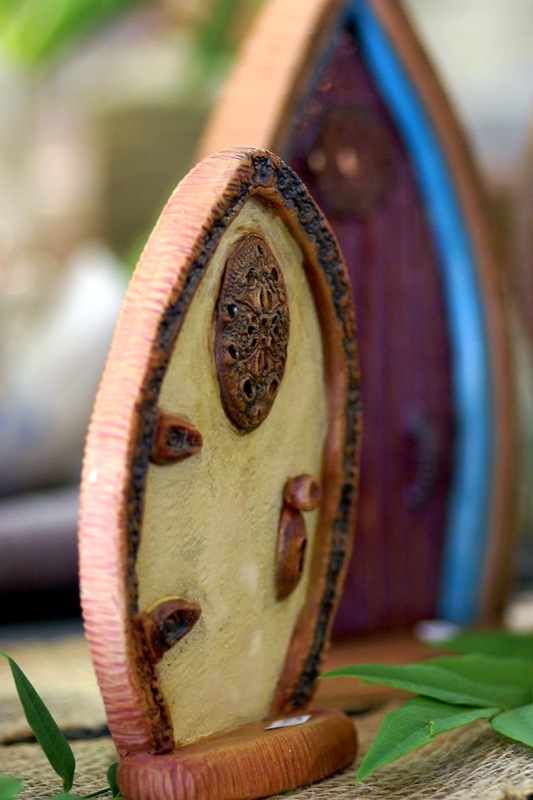 Ceramic Doors Hand Shaped to Awaken Forest Fun & Fantasy. Austin potter Kathy Harris is a lover of fantasy. She uses her art to help get in touch with an imaginary world she would love to explore, that of fairies and magical forests. Clay is the perfect medium for bringing her visions to life, perfect for imprinting textures to create interest and decorating with colorful glazes that add pop and flair. 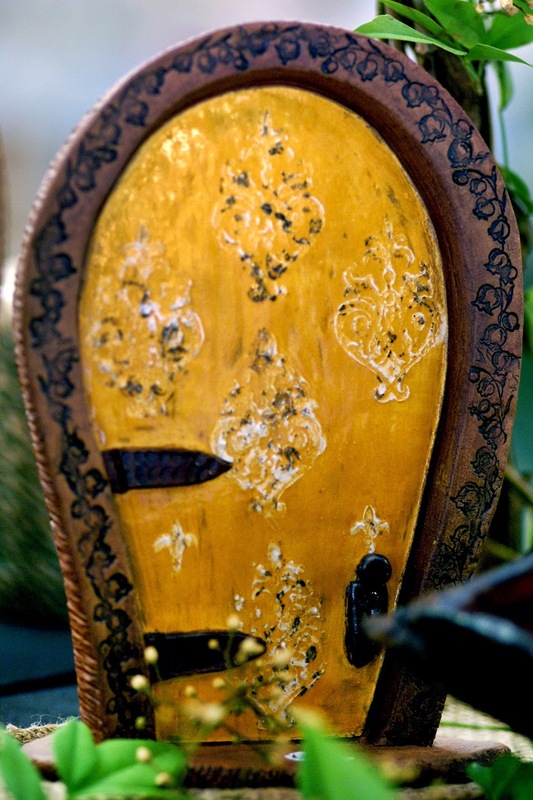 Kathy’s main focus recently has been hand crafted ceramic doors, each standing about 6 to 8 inches tall, meant for placing at the base of a tree. You can just imagine the world that exists inside were you to open one of her doors, and that's the beauty of them. Her creativity and imagination is dedicated to awakening yours. In looking at how she decorates each door, you can tell that her inspiration comes from many places and styles of architecture, from the quaintest of cottages to elegant European cathedrals. Kathy definitely doesn’t skimp on a single detail, from the front to the back. She offers a wonderful example of how art can fun and lighthearted, but also meaningful. What would you wish to see behind your own little door?